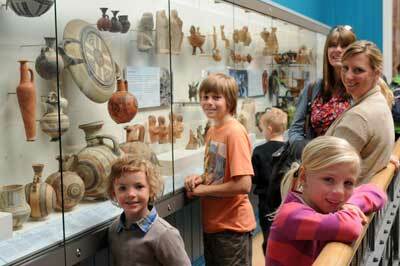 I am researching the role of collections of classical archaeology in UK regional museums. RAMM is one of six case studies which are central to my PhD, together with museums in Glasgow, Liverpool, Newcastle, Nottingham and Reading. My work at RAMM has involved interviews with staff members and visitors, exploring the ways that classical objects are currently being used and people’s reactions to them. I have also been investigating the history of RAMM’s classical collection, using the museum’s own archive of press cuttings, correspondence and other documentation. Previous research on the history of classical collections has tended to focus on London, Oxford, Cambridge and country house collections. My research, with its regional focus, intends to bring new insights into the broader history of classical collecting, as well as exploring the benefits of classical archaeological collections for contemporary museum audiences.